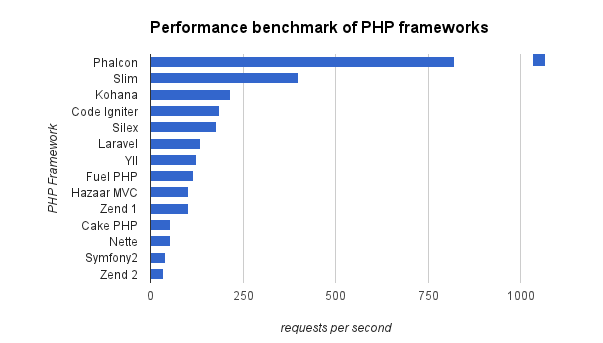 In 2012 we asked ourselves: how can we reduce the development time? At the same time have the ability to increase the functionality of our applications and web services, to facilitate code maintenance and team interaction, with clear and understandable architecture. For the same reason, need a long time to developer colleagues understand the principles of building applications and working with their framwork. Security, WordPress then rattled in all bug trackers, even newbe hackers learned how to do XSS attack. The speed, of course it conditionally, but what Russian does not love fast driving! "Yii started an attempt to fix drawbacks of the PRADO framework: Slow handling of complex pages, steep learning curve and difficulty to customize many controls. In October 2006, after ten months of private development, the first alpha version of Yii was released, followed by the formal 1.00 release in December 2008. Yii 1.1 was released in January 2010 adding a form builder, relational Active record queries, a unit testing framework and more. 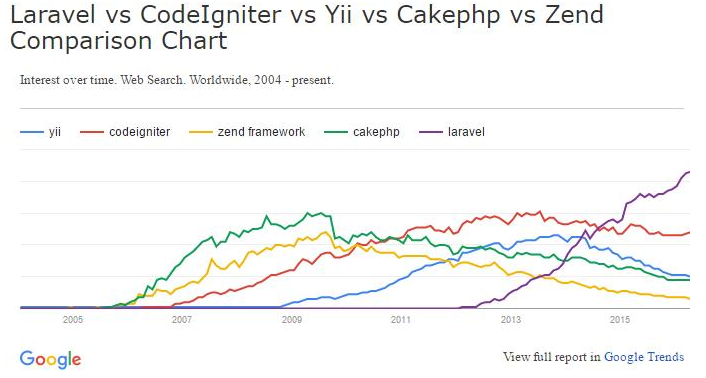 In May 2011 the developers decided to use new PHP versions and fix architectural mistakes. This led to version 2.0 to which the first commit was made in the same month. In May 2013 the Yii 2.0 code went public, followed by the first stable release of Yii 2.0 in October 2014. The current version 2.0.7 also supports PHP7. Yii comes with a collection of official documentation, such as a tutorial to develop a simple blog application, a guide that gives the description of every feature and a class reference which gives every detail about properties, methods and events. At the moment Yiipresense with version 2.0. Last release - 2.0.8 from 28 April 2016. Basic hello world test for Yii1. As can be seen in a simple test Yii1 still showed a performance advantage. Fresh test data with the official page of the benchmark. Yiiahead of only microframworks, but it is irrational to use them to create a slightly more complicated systems. Of course we are talking about compared to a full-fledged CMS, but it just pushed us to the writing of our custom framework Taskon base on Уіі2. The Yii2 release in 2015 have further strengthened our confidence in the chosen framework. Having accumulated a large store of knowledge, we have created our custom framemork "Taskon" based on Yii2, for information systems and web applications. We call it "Taskon framework" and not a CMS, because CMS has a more narrow use is often limited by the website or online store. Creating Taskon, we tried to expand the boundaries of functionality. By the way our Taskon, you are free to try to create websites and web applications, moreover, it is well documented. More details can be read on a special Taskon page.